The PDM Event is the UK Plastic Industry’s No.1 exhibition. 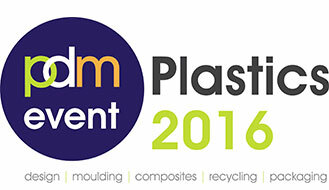 The 2016 PDM Event (Plastics Design and Moulding) will be filled with wide range of exhibitors and exciting conference sessions. The show will incorporate a variety of elements from the plastics industry with a special focus on design, moulding, packaging, recycling and composites. Supported by all the major associations, the PDM Event is a significant event for the entire plastics industry and a great place to see a cross section of the industry. If you are involved in the plastics industry this is an event you won't want to miss. The TLM stand will feature Laser plastic welding products and laser-based solutions for moulding and tooling applications.